The game Kitty Powers’ Matchmaker is a hilarious dating simulator with a difference. 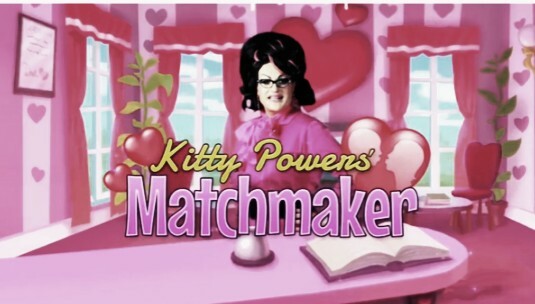 You are meant to manage your own matchmaking agency with the guidance of your fabulous boss, drag queen diva Kitty Powers! Match an endless parade of desperate clients (as in lads ) with candidates from Kitty’s little black book and guide them through awkward conversations and dozens of perilous dating dilemmas. As your reputation grows you’ll unlock new date venues, more demanding clients and upgrades for your agency. Send your hopefuls out with the right look and perfect gift to maximize their chance of finding love. Though this game would have been out by valentine but hey….... love has no date. CLICK HERE more Kitty Powers’ Matchmaker.